1948 Rover P3 Photo Picture Classic Cars for sale & Classifieds - Buy Sell Classic Car & Classic Truck Classifieds. 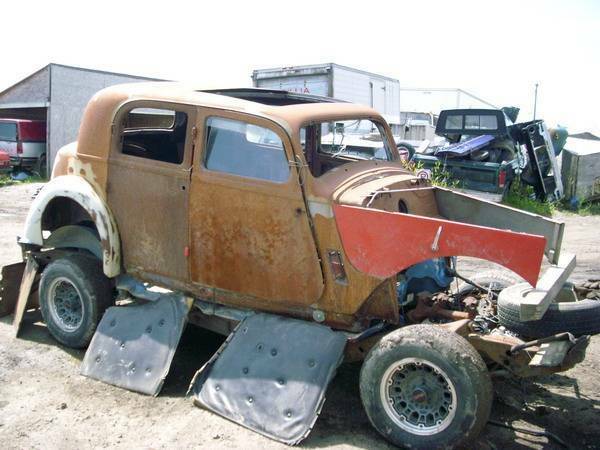 This future Rat Rod was saved from a scape yard in Calgary Alberta. lol..the door thing on the side Remainds me about a Aircraft down in the sea..and the Stewardess open the doors..and pull out the slides down to the ocean.. this one has a Boddy frame lifte as wel..and the Blinker arms between the doors are gone,,,sad car. Going to be a great rat. Slam, chop and loud pipes make it right.